Lights come on as the sun sets in Taipei, the capital city of Taiwan. In the foreground is the Taipei 101 skyscraper, one of the tallest buildings on earth. THERE IS a moment in "1776," the acclaimed musical about the American founding, in which Benjamin Franklin explains to the Second Continental Congress why he can no longer think of himself as an Englishman. He is aggrieved that the colonists are being denied the full rights of English citizens, but that isn't the whole of it. "We've spawned a new race here — rougher, simpler, more violent, more enterprising, less refined," Franklin says. "We're a new nationality. We require a new nation." I thought of that scene as I was having dinner recently with three students in Taipei. The three — Celia Chung, Tony Chang, and Polly Cheng — attend National Chengchi University, one of Taiwan's oldest institutions of higher education. I met them during a visit to Taiwan sponsored by the Association of Foreign Relations, a Taiwan-based NGO that promotes international awareness of the island's affairs. After several days of meeting middle-aged diplomats and civil servants, I had sought out a chance to talk with young people not constrained by party line or government platitudes. In particular, I wanted to know what it meant to them to be Taiwanese. On the rare occasions when Taiwan attracts media attention in the United States — for example, when then-president-elect Donald Trump made a point of taking a congratulatory phone call from Tsai Ing-wen, Taiwan's president — there is always much talk of the "One-China" policy, the old dogma that Taiwan and the mainland are inextricable elements of a single country. The Communist regime in Beijing clings fiercely to that claim, in effect maintaining that Taiwan is a renegade Chinese province and not a unique country. During the decades when Taiwan was an authoritarian state under Chiang Kai-shek's Nationalist Party, Taipei's government echoed the "One-China" fiction, claiming that it was the sole rightful ruler of all China. Taiwan abandoned that delusion when it became a democracy in the 1980s. 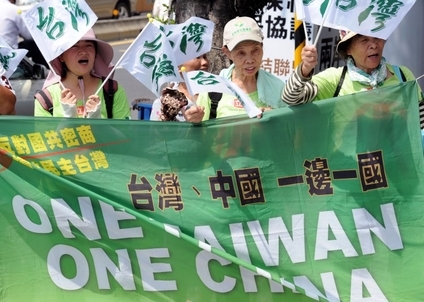 But relations with China still cast a giant shadow over Taiwanese politics and society. Beijing goes to great lengths to blackball Taiwan in international forums, reacting menacingly to any suggestion that Taiwan be treated as sovereign. At times China has resorted to naked intimidation: In 1995 and 1996, as Taiwan prepared to hold its first freely contested presidential election, China launched missiles at Taiwan's shores — a warning to voters not to support the pro-independence Democratic Progressive Party. At the same time, China and Taiwan are economically intertwined. China is Taiwan's biggest trade partner, absorbing 40 percent of the island's exports. Some 2 million Taiwanese live and work in China, and Taiwan's foreign direct investment in China has surpassed $10 billion a year. 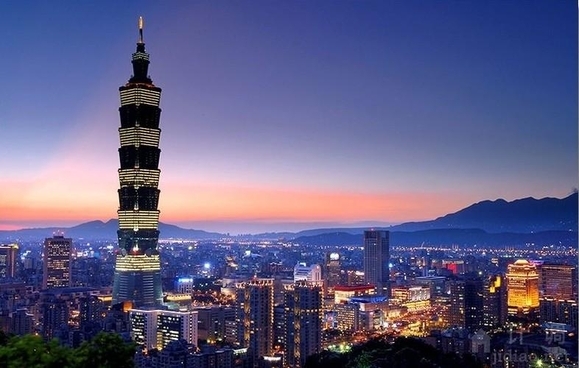 Moreover, millions of tourists from the mainland visit Taiwan each year. But neither China's military threats nor its economic pull — nor the fact that 95 percent of Taiwan's population is ethnically Han Chinese — induces my dinner companions to describe themselves as anything but Taiwanese. None feels any emotional affinity for China. None wishes to see China and Taiwan reunited. All three reject the "One China" posture. The rest of the world should, too. The students I met certainly don't agree on everything, especially the question of how assertive Taiwan's foreign policy should be. Tony and Polly are offended by the diplomatic status quo — the exclusion of Taiwan from membership in most international organizations, for instance, or the refusal to let Taiwanese athletes compete under their country's name and flag. They would like to see more pressure on China to stop demeaning Taiwan. Celia, who comes from a region of Taiwan heavily dependent on tourism, favors maintaining the status quo and not imperiling the gains Taiwan has already made. "I think China is a horrible country with a bad human rights record," she says. But it is also a powerful enemy, and provoking it could be suicidal. The "One China" dogma is obsolete. A majority of Taiwan's residents, and nearly all of its young people, regard themselves as exclusively Taiwanese — a separate nation with a separate national identity. Most Taiwanese share Celia's caution, according to opinion polls, and it is the dominant attitude in risk-averse diplomatic circles. When I ask Kwei-Bo Huang, the Association of Foreign Relations' secretary-general, whether the frequent snubbing of Taiwan in international settings makes him angry, he replies serenely that Taiwan must accept what it cannot change. "We need to strike a balance between saving face and making gains." As a small island threatened by a totalitarian superpower, Taiwan's freedom of action may indeed be limited. Yet, as with the American colonists in Franklin's era, the more intense the threats and pressure from the mother country grow, the more distinct the sense of national separateness becomes. Taiwanese democracy has galvanized a Taiwanese national identity — one more deeply-rooted in Celia, Tony, and Polly than it was when their parents were their age. For 25 years, the Election Study Center in Taipei has been asking Taiwan residents whether they consider themselves Taiwanese, Chinese, or both. In 1992, only 17 percent of respondents identified themselves as exclusively Taiwanese, while 25 percent said they were Chinese. Today, with a generation having grown up under democracy, those numbers are dramatically different: More than 58 percent of respondents now identify as solely Taiwanese, while a mere 3 percent of Taiwan's people see themselves as Chinese. And among the young, Taiwanese identity has become almost universal. In a 2013 poll, more than 90 percent of people under 34 identified themselves as exclusively Taiwanese. Thanks in part to England's harsh perversity, American colonists metamorphosed from loyal English citizens who loved their king — in 1767, Franklin still admired George III as the best king in the world — into a new nationality, requiring a new nation. Thanks in part to China's brutal stubbornness, something similar has happened in Taiwan. "One China" is dead, and Beijing helped kill it.